When it comes to event parking, it’s rare to be spoilt for choice. With over 16,500 spaces available you won’t need to search for a spot - once your satnav has brought you to the NEC, follow the signs for the Moscow State Circus. What’s more, in addition to a vast choice of spaces you can also pick from a range of payment methods including Pre-Paid Parking*. Don’t forget, Circus goers have a special price for parking BOOK NOW ONLY £5. Select Moscow State Circus from the drop down Event option for the special price of only £5. *Pre-Paid Parking is only valid in NEC operated car parks and not valid in Resorts World, Birmingham operated car parks at the NEC. Look out for signs when you're here. You’ll find the NEC signposted from all motorways and major routes including the M42, M40 and M6 - just pop B40 1PS in your sat nav. When you arrive at the NEC don’t follow your satnav anymore, look out for the Moscow State Circus signs. Then, simply jump on the NEC free shuttle bus or take a leisurely stroll along our signposted footpaths. If you plan to arrive at the NEC using other Taxi or Private Hire provider you will normally be dropped off at either the Piazza drop off and pick up area or the Atrium entrance unless you state otherwise, the Circus is located opposite Resorts World which would be the closest place to the Circus. 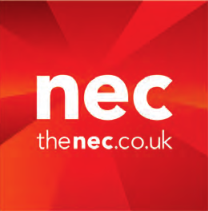 If you are a disabled visitor please visit the NEC dedicated page.